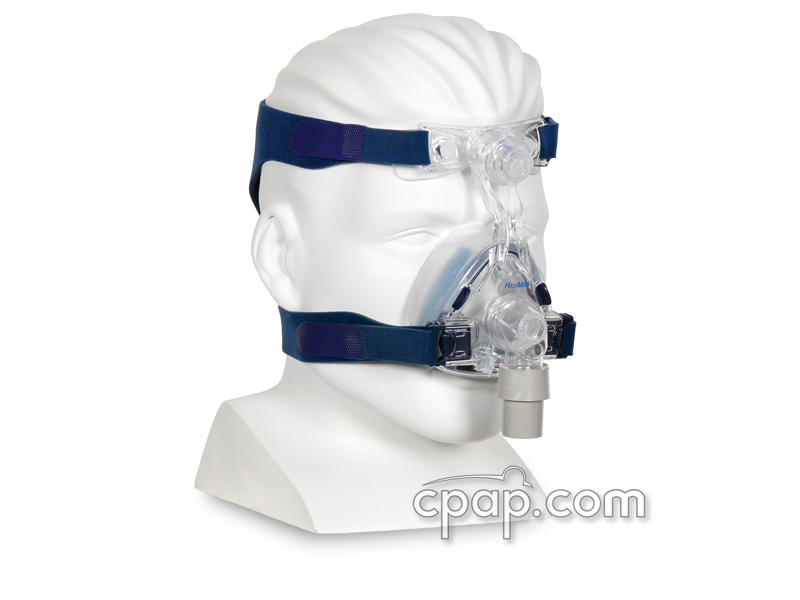 Newer Model Available: Opus 360 Nasal Pillow CPAP Mask with Headgear.
" excellent for my problem, since now I can side-sleep and my discus hernia suffers a little less. " 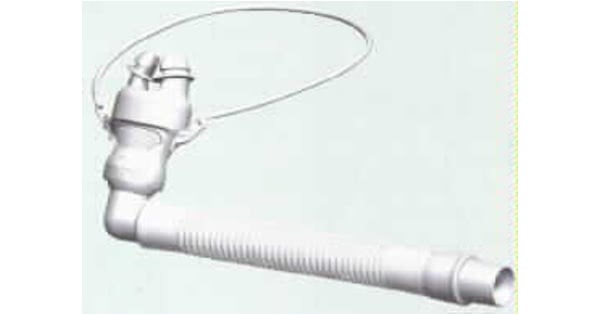 Fisher & Paykel is phasing out this mask beginning March 31st, 2008. For details, read the notice. Our supplies are limited so if this is your favorite mask, you may want to stock up. 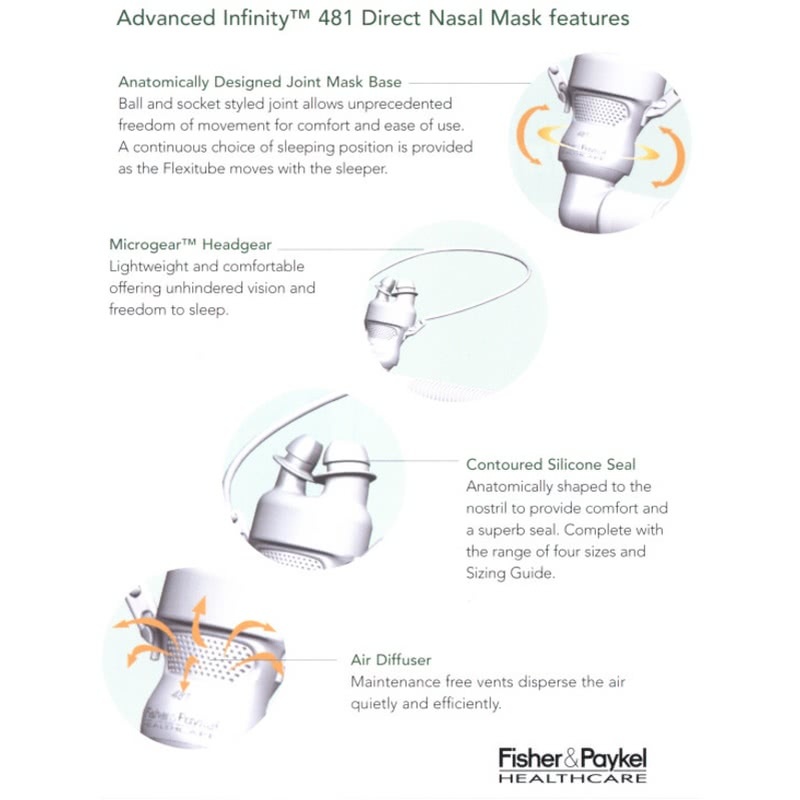 Fisher & Paykel recommends that people who use the Infinity mask try switching over to their new Opus 360 Nasal Pillow Mask. The Direct Nasal Seals on this mask are anatomically designed to fit gently but securely into the nostrils. The mask elbow is a new ball-and-socket joint which allows nearly unlimited freedom of movement to be achieved between the mask and the "Flexitube," so that no matter how much you move during sleep the Infinity will move with you -- securely and quietly. 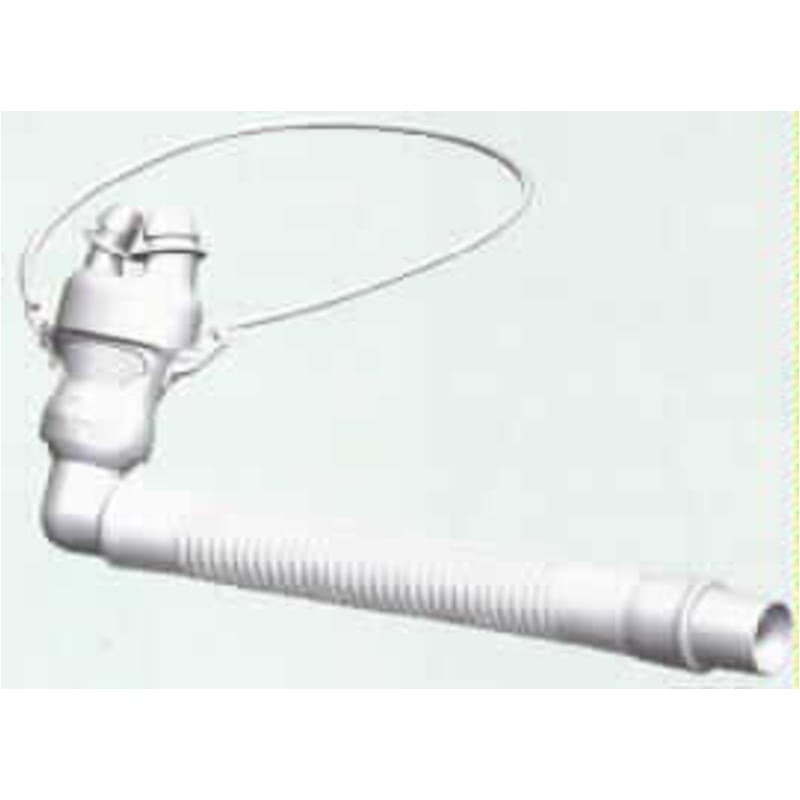 For more information, feel free to examine this product brochure.